The interdisciplinary book, Museums, Immigrants, and Social Justice assesses how museums can offer a powerful, and often overlooked, arena for both exploring and acting upon the interrelated issues of immigration and social justice. Based on three in-depth European case studies, spanning France, Denmark, and the UK, the research examines programs developed by leading museums to address cultural, economic, social and political inequalities. 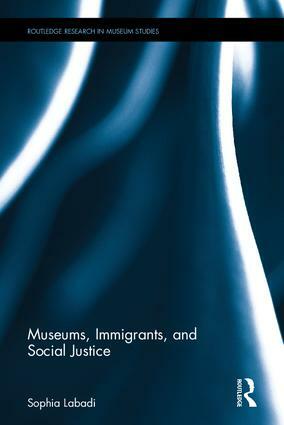 Where previous studies on museums and immigration have focused primarily on issues of cultural inequalities in collection and interpretation, Museums, Immigrants, and Social Justice adopts a more comprehensive focus that extends beyond the exhibition hall to examine the full range of programs developed by museums to address the cultural, economic, social and political inequalities facing immigrants. L’Impact de la Culture and Europe considers a new orthodoxy: culture–led development or regeneration engenders significantly contribute to people’s economic and social situations, notably through employment and the strengthening of social cohesion and collective identity. But what data supports these overtly positive conclusions? This book critically analyses how the new orthodoxy is sustained and which aspects are perceived as problematic. It focuses on four case studies in Europe: Salford and Liverpool in the UK, Krakow in Poland and Lille in France. Key recommendations are detailed in the conclusion, to improve models of regeneration and evaluation. More than half of the world’s population now live in urban areas, and cities provide the setting for contemporary challenges such as population growth, mass tourism and unequal access to socio-economic opportunities. Urban Heritage, Development and Sustainability examines the impact of these issues on urban heritage, considering innovative approaches to managing developmental pressures and focusing on how taking an ethical, inclusive and holistic approach to urban planning and heritage conservation may create a stronger basis for the sustainable growth of cities in the future. September: Invited to give a Keynote Speech at the Annual Meeting of the European Association of Archaeologists (Spain). July: Invited to give a talk on my research on Heritage and Development at Kaleidoscopio (Maputo, Mozambique). January: Invited to present my work on Museums and Immigration at the workshop ‘Dealing with Islam in Berlin’s Museum Context’ – Humboldt Universität, Berlin. December: Invited to give a talk on World Heritage values for the 20th anniversary of the inscription of Carcassonne (France) on the World Heritage List. March: Debate on Museums and Social Justice, organised at the Beaney Museum in Canterbury. This book explor es the international legal framework developed by UNESCO to identify and protect world heritage and its implementation at the national level. Drawing on close policy analysis of UNESCO’s major documents, extensive professional experience at UNESCO, as well as in-depth analyses of case studies from Asia, Europe, and Latin America, Sophia Labadi offers a nuanced discussion of the constitutive role of national understandings of a universalist framework. The discussion departs from considerations of the World Heritage Convention as Eurocentric and offers a more complex analysis of how official narratives relating to non-European and non-traditional heritage mark a subversion of a dominant and canonical European representation of heritage. It engages simultaneously with a diversity of discourses across the humanities and social sciences and with related theories pertaining not only to tangible and intangible heritage, conservation, and archaeology but also political science, social theory, tourism and development studies, economics, cultural, and gender studies. In doing so, it provides a critical review of many key concepts, including tourism, development, sustainability, intangible heritage, and authenticity. This volume analyzes the politics, policy and practice of cultural heritage at the global level, identifying the major directions in which international heritage practice is moving, and exploring the key issues likely to shape the cultural heritage field well into the twenty-first century. It examines the tensions between the universal claims of much heritage practice, particularly that associated with the World Heritage system, and national and local perspectives. It explores the international legal framework developed since World War Two to protect heritage, particularly at times of war, and from theft, showing how contemporary global problems of conflict and illicit trade continue to challenge the international legal system. 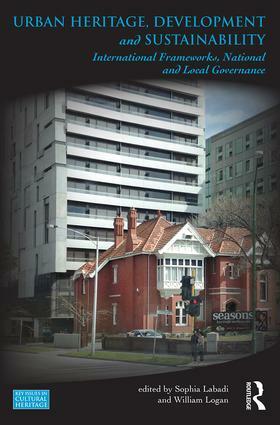 Heritage and Globalisation critiques the incorporation of heritage in the world economy through the policies of international development organisations and the global tourism trade. It also approaches heritage from seldom-considered perspectives, as a form of aid, as a development paradigm, and as a form of sustainable practice. The book identifies some of the most pressing issues likely to face the heritage industry at a global level in coming decades, including the threat posed by climate change and the need for poverty reduction. Providing a historically and theoretically rigorous approach to heritage as a form of and manifestation of globalisation, the volume’s emphasis is on contemporary issues and new fields for heritage practice. Evaluating the socio-economic impacts of selected regenerated heritage sites in Europe. European Cultural Foundation. 2011. ‘Culture is a source of prosperity and cosmopolitanism ‘(Comedia, 2003). This quote by Comedia summarises a new orthodoxy: that culture-led development or regeneration engenders significant positive outcomes. It leads to economic growth, by attracting international events and creative businesses, and the benefits of that growth are shared by all citizens. What’s more, citizens are empowered through the creation or strengthening of individual and shared identity and social cohesion. However, this new orthodoxy has been heavily criticised. At a time of crisis and credit crunch, it becomes urgent to reassess this new orthodoxy. This research critically analyses this new orthodoxy by studying existing regeneration models and methods for the evaluation of the socio-economic impacts of the regeneration of historic urban areas or cities. This research also aims to analyse critically the impacts identified through these analyses. The final goal of this research is to propose recommendations for improving impact evaluations and regeneration models. To address these aims, different cases in England, France and Poland have been compared and contrasted.